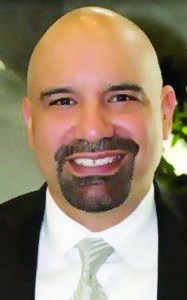 Nearly two weeks after his termination as director of the After School Program for the San Benito Consolidated Independent School District, Jack Garcia has filed a Level III appeal with the Board of Trustees and requested a public hearing. In a letter to the school board on Tuesday, Edward “Tony” Conners, a lawyer representing Garcia, said the grievance also seeks to obtain copies of any documents SBCISD Superintendent of Schools Dr. Nate Carman relied on for issuing his Level II decision to dismiss Garcia. Conners also mention the Texas Public Information Act (TPIA) to make the documents available. Garcia ran afoul after purchasing $17,000 for a flight to Houston last month where he was taking more than 50 students to a chess competition. “I request a copy of any documents that Dr. Carman considered and/or relied on issuing his Level II decision dated March 27, 2019 that was not attached to this decision or not provided in response to my requests under the TPIA requests that were made on February 26, 2019, when I filed Mr. Garcia’s grievance,” Conners wrote in the letter. On Wednesday, Conners said a Level III grievance is part of Texas law and board policy. “You have a right to bring grievances to raise concerns about working conditions,” he said. Conners said Level I usually is with a supervisor, Level II with the superintendent, and Level III with the school board. Way to go Jack, don’t lay down for this! This Carman cat thinks that he can play politics instead of using his God given common sense! He’s got another thing coming! I wonder if Carman is one of those getting to go to Washington that will cost the administration over $400K! Why doesn’t this Carman cat make them ride a bus?